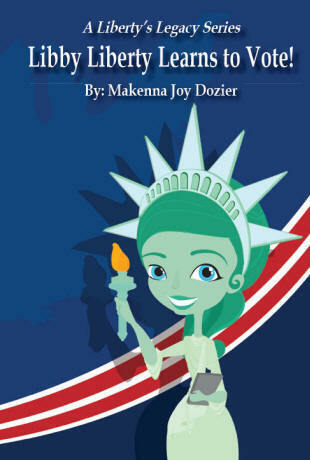 "Libby Liberty Learns to Vote!" 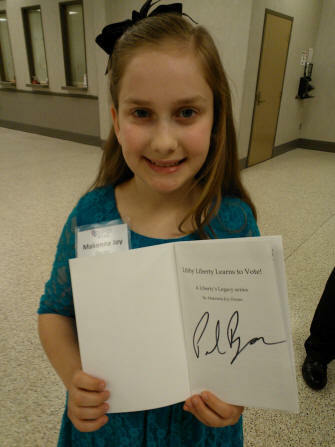 On October 26th, Vice-President candidate, Paul Ryan, signed Makenna Joy’s copy of her newly released book! We also gave him a copy of the book to share with his family and a Liberty’s Legacy, “Freedom Y’all!” T-shirt, when we heard him speak that day in Huntsville, AL. and travels across this great nation. Contact Liberty's Legacy in order to get your copy!